New collection! The Show Some Love Top red from Steady Clothing. Wear your heart on you back instead of your sleeve. With a pretty heart cut out and the cutest heart buttons in the front. 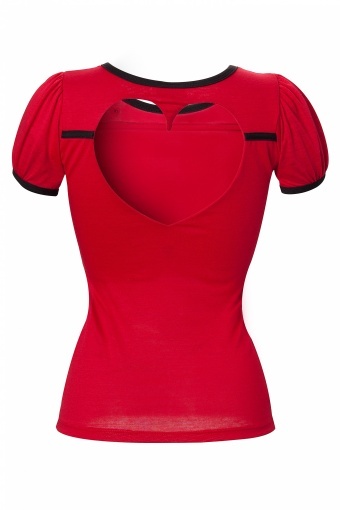 You’ll be getting lots of love in this sweet top! Made of a supple, light and stretchy jersey.